This is the first time we've conducted The Big Gay Survey, and it's been a huge success! 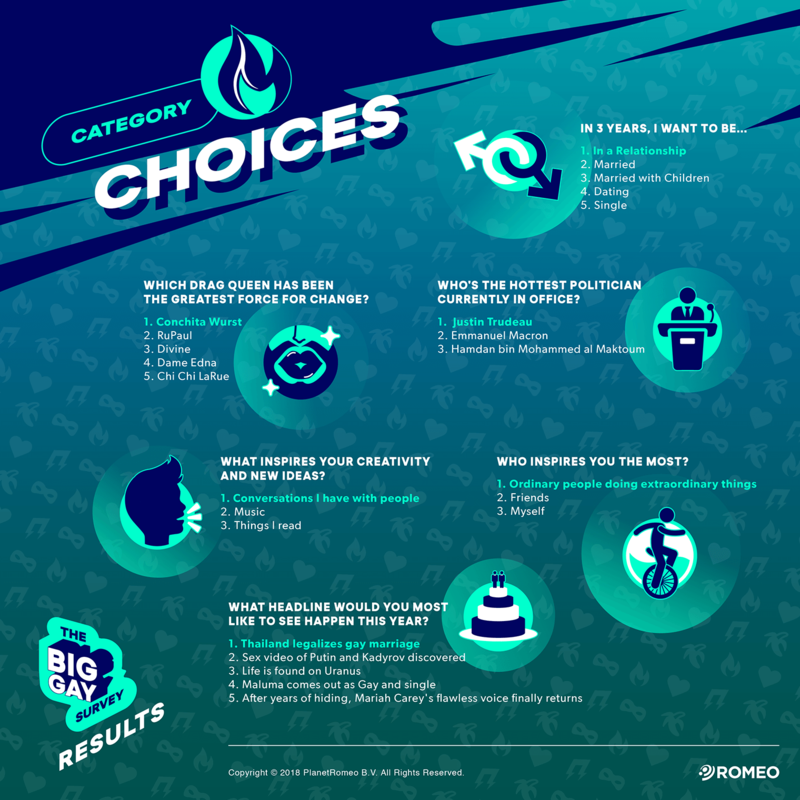 Over 58,000 of you took part and below are the results. Previously, we conducted other surveys, like our Fetish Survey and the Gay Happiness Index. This one is a more general sweep of lifestyle, swagger, style, and personal tastes across the ROMEO community. To find out what inspires us most like, where the ROMEO gay capital is, and what surgery you would or wouldn't do, just scroll down and enjoy The Big Gay Survey Results. You know you want to. The results are posted here in English, but you can download them in the languages below. Our choices shape who we are now and who'll we'll be in the future. Every time you hit the gym or focus on your diet, that's a credit in the bank of life towards a fitter healthier you in three years. Also, your choice of friends, political preferences, and relationship goals have an effect on your behavior. 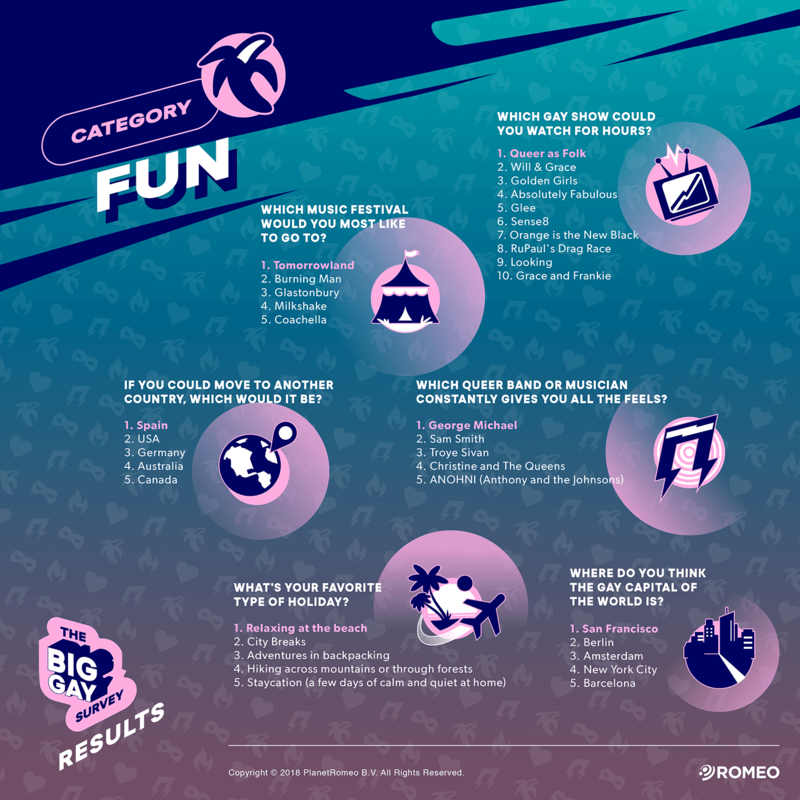 In this section of The Big Gay Survey, we asked about all these important choices (and a few entertaining ones). Is life worth living if it ain't fun? 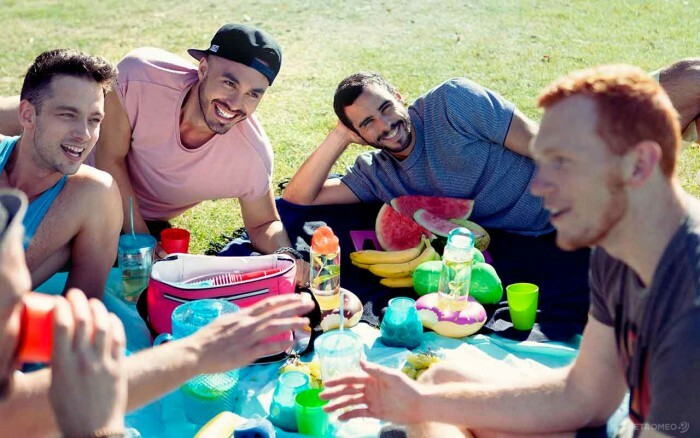 The gay community has gained global notoriety for knowing how to throw some of the world's greatest community parties. Prides alone bring millions of people together under the rainbow flag, but what else do we do to entertain ourselves? And if money was no object, where would we most like to live and Gaycation? If it didn't happen on social media, did it even happen at all? No pics, no proof. 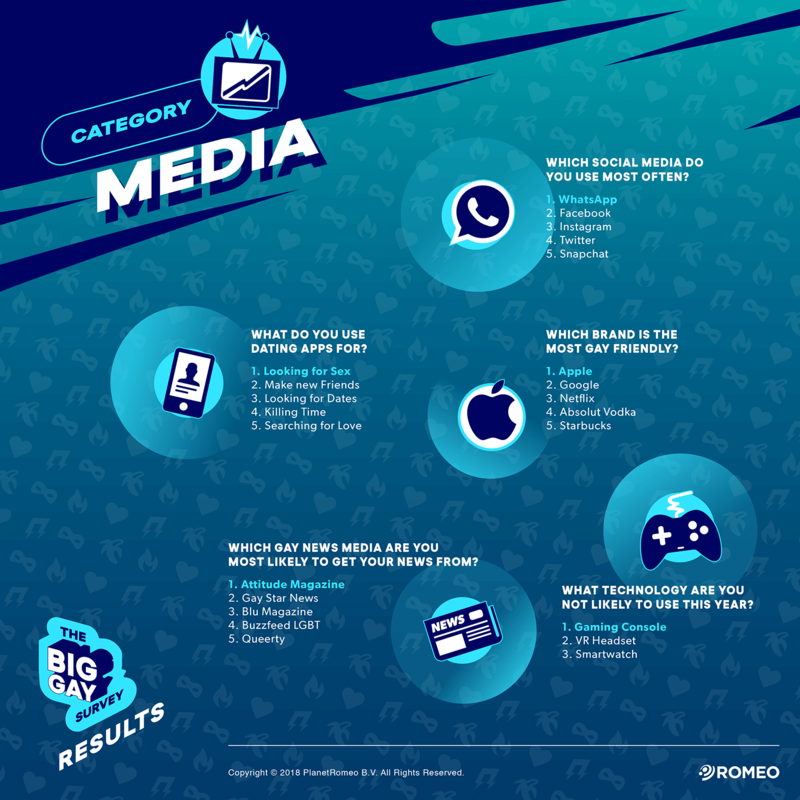 In 2018, nearly every Romeo owns a smartphone, but what is their favorite social media platform? And, what devices do they try to avoid? "You're perfect, you're beautiful, you look like Linda Evangelista." Image is everything! What we Romeos choose to wear and how we grow or trim our hair, says a lot about who we are. So, would you be open to a bit of surgical assistance or dead against it? Who are you wearing? And in the bedroom, are you naughty or nice? This is what our Romeos had to say. 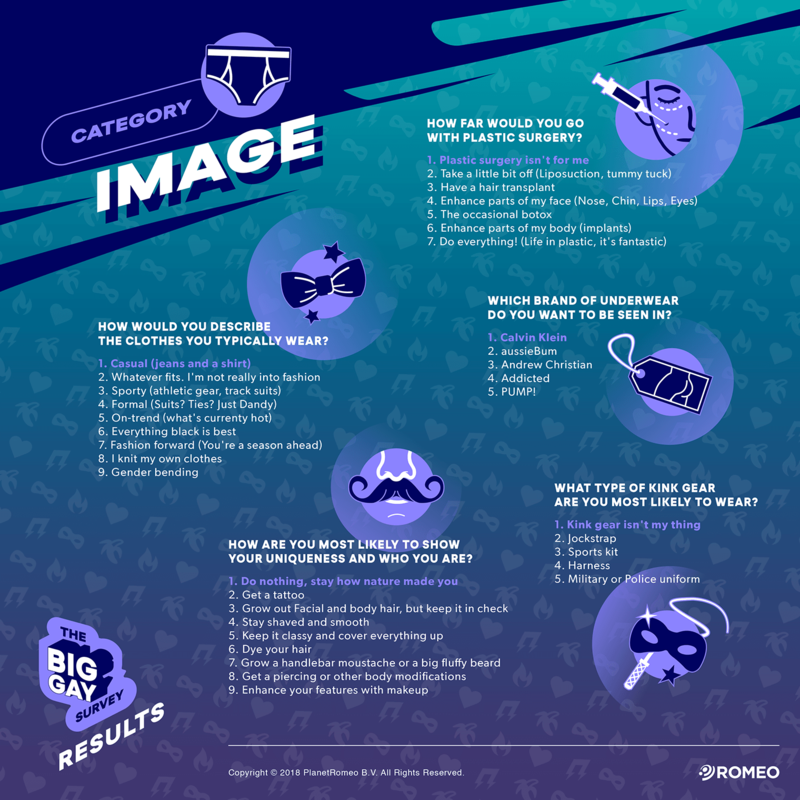 Since this is the first time we conducted The Big Gay Survey, we had no idea what to expect, and were impressed by the huge response. Thank you to every Romeo who took part. This information is fun, but it's also important to know what we like and choose as a community. Some of our top choices speak to the integrity and beauty of our community. Our Romeos are most inspired by conversations with friends, and by ordinary people doing extraordinary things. Living an out-and-proud life is remarkably beautiful and working together to create greater acceptance and understanding, well that's pretty extraordinary right there. We value you and want to hear from you. If you'd like something covered in the blog, send your suggestion to social@planetromeo.com. 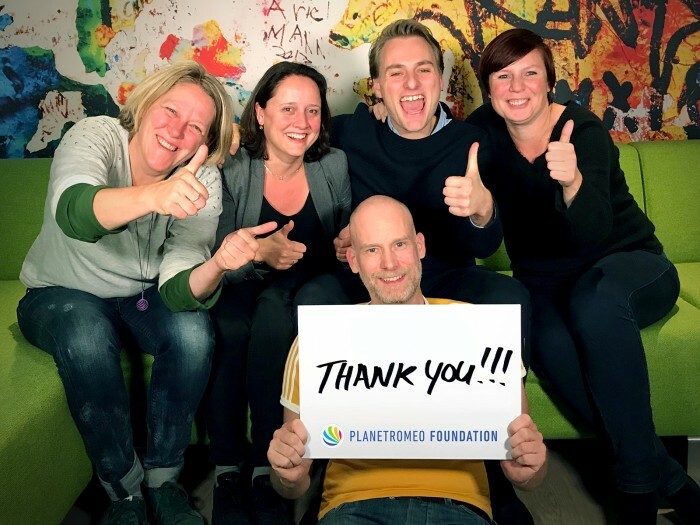 2017 was a record breaking year for PlanetRomeo Foundation. 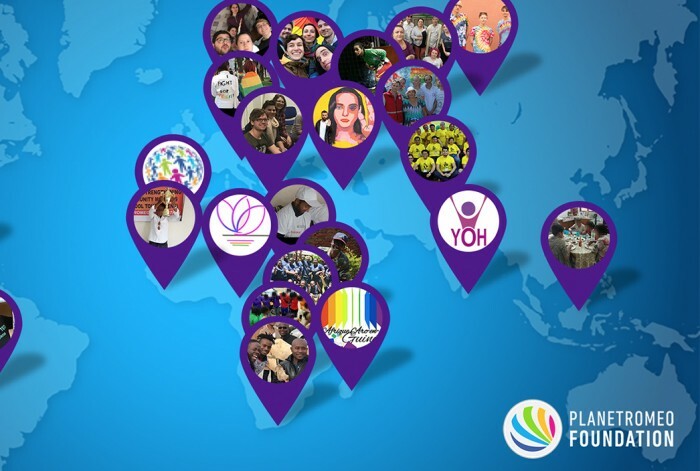 Our Foundation is an independent registered non-profit, established in 2009, that funds LGBTI projects in countries and regions where it's needed most. Want to touch someone you love? Why not send them a ROMEO GIF? Which ‘Queer Eye’ Fab-Five guy are you?